Being an entrepreneur is no joke. It takes hard work and diligence to get a successful business off the ground and running smoothly. In order to do this, you need to be knowledgeable and skilled. But skilled at what, exactly? You have to be a master at your trade, of course. And here are six more skills every entrepreneur must possess in order to become successful. When you’re trying to put your ideas into action and run a business, it can seem like there are never enough hours in the day. That’s why it’s essential to make the best use of the time you do have. 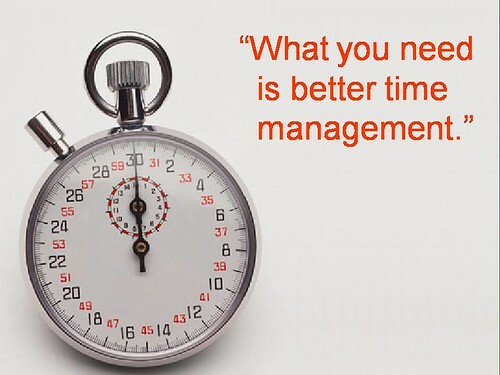 Good time management skills will help you get more things done in less time, which means more time left over for other pursuits and spending more time with that family you forgot you had. Some people are naturally more organized than others. If you tend to live in chaos, it’s a good idea to learn some organizational skills and techniques that will help improve your workspace and beyond. When you suffer from poor organization, you become inefficient. Being able to find what you need is so important, as is maintaining all the little details that come with being an entrepreneur. And there are a lot of little details. You aren’t in this alone. There are lots of people out there that can help you thrive as an entrepreneur. The trick is that you have to find them, and you do this by networking. If you can learn to effectively network with others, you will be able to form invaluable connections with important people like potential investors, mentors, and customers alike. You can never underestimate the power of good networking skills. Being able to close the sale is a skill that many people have trouble with, but as an entrepreneur you have to learn. It’s not just about being able to make a good sales pitch. You have to be able to expand upon that pitch and turn it into an actual, accomplished sale. There are lots of techniques that will help you close a sale, and mastering what works for you is so important to the overall health of your business. In many cases, entrepreneurs are born leaders. To be an entrepreneur, you have to take risks. When you’re a good leader, you can convince others to take them with you. Also, your business is only as good as your employees. When you’re an effective leader to them, you have a team that will go above and beyond to help your company grow because they not only believe in it, they believe in you. If you aren’t good at communicating, you’ll find often find yourself frustrated when your message doesn’t come across as you intended. Mixed messages can be extremely damaging to your business, as well as your relationships. Basic communication skills will help you get exactly what you want, and help you effectively promote and run your business. Ben Sharp is a successful small business owner. He gets fresh ideas for running his business by being involved in small business owner networks.